or boosting your milk supply? Get all the secrets for pumping success right here. Did you know that stress hormones can interfere with the hormones of lactation? 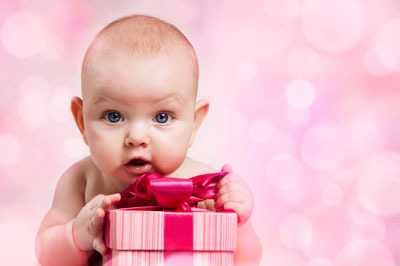 Did you have a stressful birth? 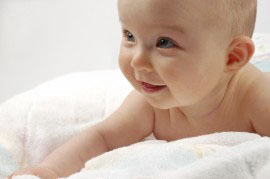 Is your baby gaining weight by breastfeeding or does he need supplemental feedings? Do you have low milk supply? Are you caught up in the frenzy of returning to work? 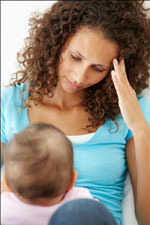 There are many situations that cause stress for new mothers. When you worry about how much milk you are pumping those stress hormones can actually cause your body to react and as a result you get less milk. When this happens often enough your supply can decrease rather than increase even though you are pumping. On the other hand, when you are armed with the right tools and information, your stress levels decrease, you become more relaxed, and pumping becomes quick and easy. More effective pumping can help increase your milk supply. Even if your supply has decreased, it now has the potential to recover and increase. The information here can help. To read more about what other mothers and professionals are saying about this program read the testimonials highlighted in yellow below. These programs aren't for everybody. So if you are wondering whether or not to download or order one or more of these, we've summarized just who needs them to become more relaxed, to have a better pumping experience, and to build just the right milk supply. On the other hand, if you're already stress and anxiety free, have a great milk supply, a baby who is gaining, and no worries about pumping at work then you probably don't need this for yourself. Who are these programs NOT for? For many mothers facing milk supply problems, stress, anxiety, or worries about their baby, or returning to work, these CDs and MP3s are a real solution to their problems. But, if you match the description below you probably don't need this help for yourself and may be searching for information or products to help a friend or family member. I was having a problem with low milk production. The lactation consultant that I spoke with told me to try supplemental pumping in order to increase my milk supply. 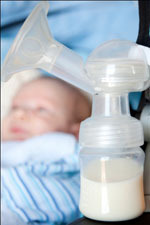 With three active children to care for, I always felt rushed when I used my breast pump. I was always watching the clock which caused me to be very tense. After speaking to Robin at NewBorn Concepts, I was given the Pumping CD to try. Before listening to the CD I found pumping stressful and I never felt like I was pumping for long enough periods of time. I also didn't feel like I was having a good milk let down when I pumped. When I listened to the CD, things instantly changed for me. I loved that the guided imagery was timed so I didn't have the tension of being a "clock watcher". I found comfort in knowing that once the track was over, I had pumped for the proper amount of time. I also saw a positive change in my milk production. When I listened to the CD I felt more relaxed and in turn,	my production increased. I found the CD to be a valuable tool to assist me in my pumping. Your tempo is just perfect and the music is the best I've heard for...focusing and helping your body truly "let go". I give your CD a resounding A	+. Every new mom that ever felt worried about her milk supply should have this in her hands. 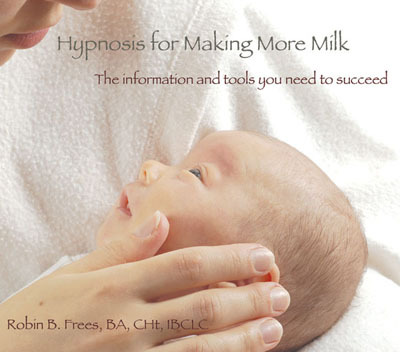 As an additional bonus, if you register right now you will get access to my Tools and Tips for Pumping parent handout, audio samples of Hypnosis for Pumping Milk and Hypnosis for Making More Milk and two more audio samples designed to develop relaxation skills and confidence for childbirth, and a general relaxation program for anyone experiencing everyday stress.